In Esparto, the current version of the “second high school in Yolo County,” features an art-deco auditorium built by the WPA in 1939. 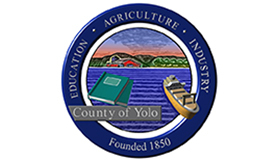 At the end of Yolo Avenue–main street Esparto–the 1888 Esparto depot is being restored. 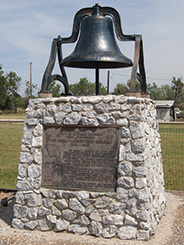 Entering Capay, a memorial plaque and bell from the Capay School can be seen from the highway, in front of its empty lot. The Guinda Store has been in continuous use as a store since it was built in 1891. Behind the Guinda Store, left up Forrest Avenue, is the Western Yolo Grange Hall built in 1909, originally as a community hall. Legend has it that David Allen Clark rode with the James Gang in the late 1800s – and lived with his family on Salt Creek in the Capay Hills – between today’s Capay and Brooks! He would be gone from the Capay Valley for months at a time, leaving his wife Sally to raise their son Noble with his family. He would return, loaded with money, and “hide out,” looking nervously around, according to his great granddaughter, Gilda Clark, and then disappear again–eventually for good.